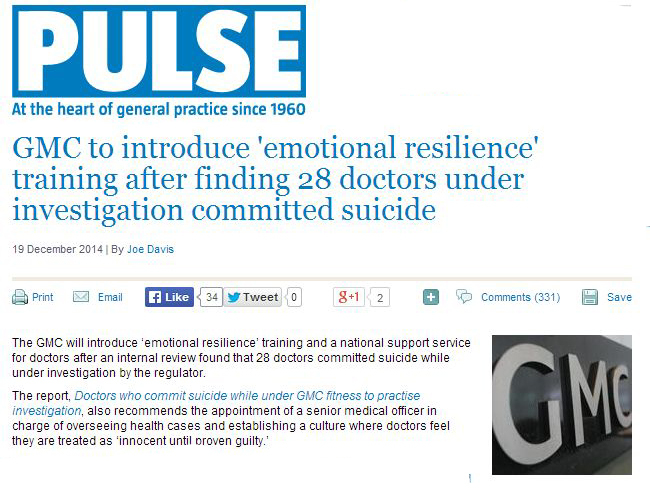 This PULSE article on the GMC and doctors’ suicides has so far gathered 331 responses. This would appear to me to be unprecendented in recent PULSE history. 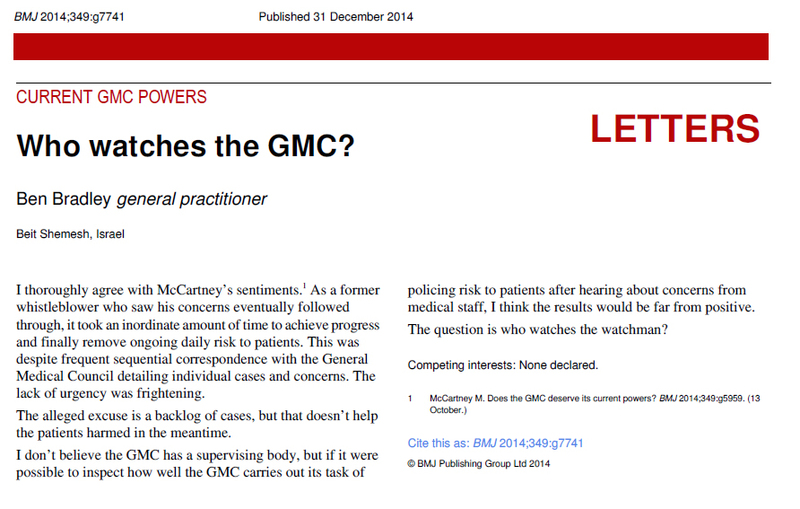 I have put together these communications because if the GMC wishes to regulate against “any other behaviour that may undermine public confidence in doctors” it needs to consider the potential consequences of such an approach. 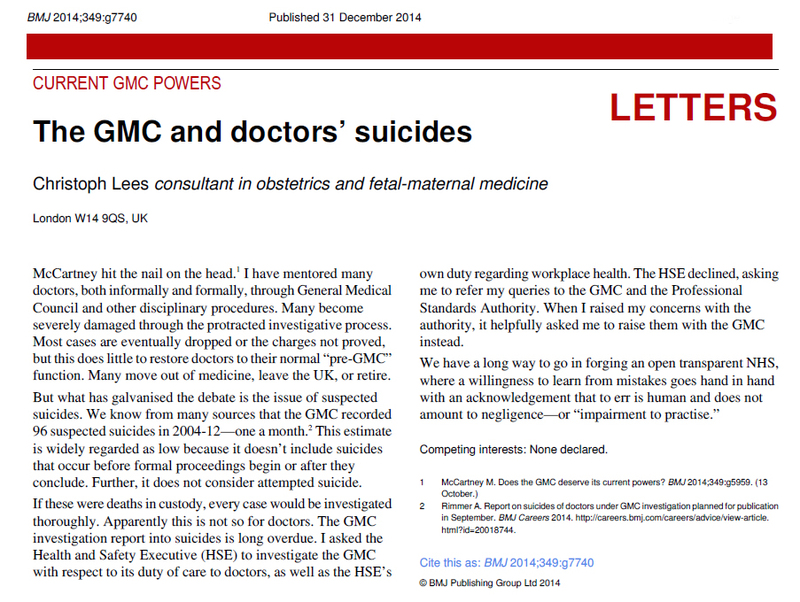 One risk is that such action may hamper “duty of candour” and thus patient safety. 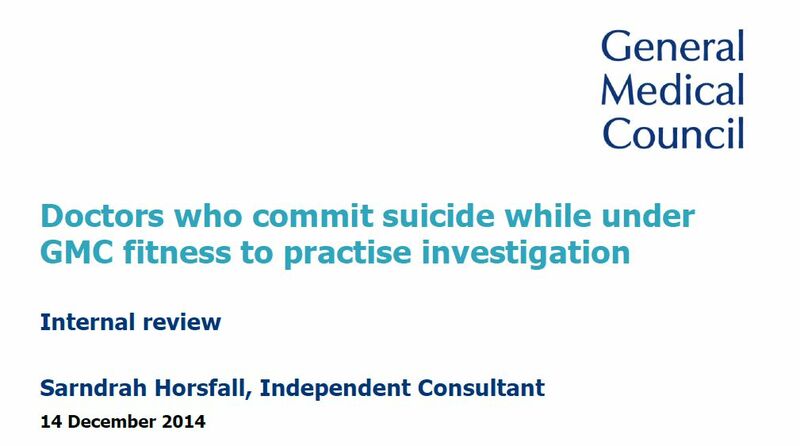 It may also risk further “disconnect between doctors and managers” (the GMC internal inquiry established that 54% of those who committed suicide had been referred by their employers). Whilst it is essential that doctors have a strong regulator, the inevitable tensions and risks of the regulatory process need to be considered. I am writing this post to add my voice to those who urge that regulatory approaches taken by the GMC are more openly discussed.